Today was Day #5 of Chocolate and Pistachio Theme Week. 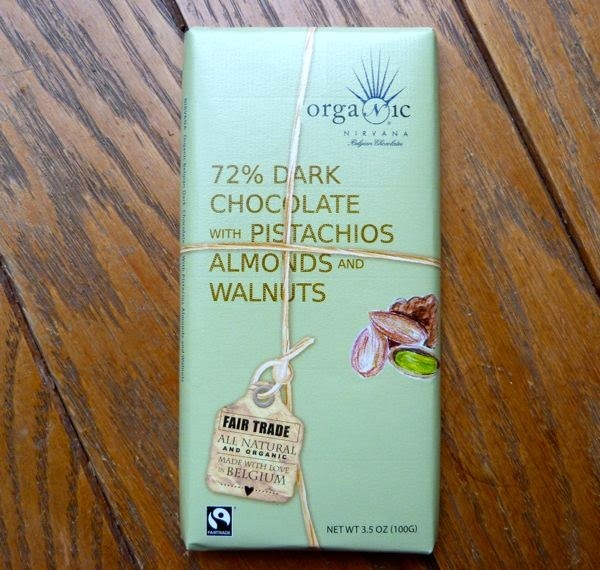 Today's Nirvana Belgian Chocolates (Wellesley, MA) bar contained a long title: "72% Dark Chocolate with Pistachios, Almonds and Walnuts," and -- like most chocolates now -- many descriptors and adjectives. This gluten-free, Non-GMO, organic, fair-trade chocolate bar also had an intriguing sweet nut flavor with a whisper of rice pudding spice (not quite cinnamon and not quite nutmeg, but something similar). I've been commenting all week that the light, sweet pistachio flavor is all but lost when blended with chocolate. But, somehow this rice pudding flavor note seems to evoke a bit of the sweet nut flavor. 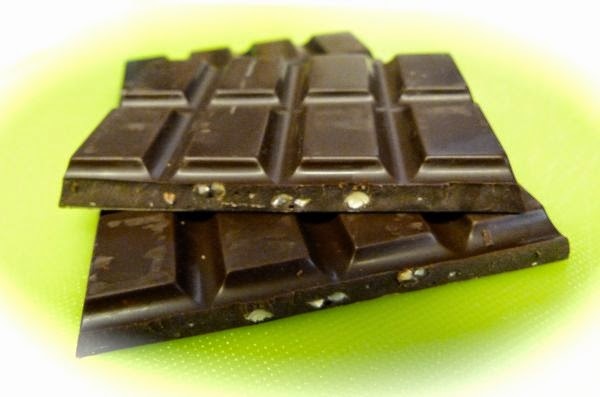 The primary ingredient -- organic cocoa mass -- originated from "fine flavor Trinitario cocoa beans" grown in the Dominican Republic. The cocoa was transported to Belgium to create a smooth, relatively mild but well executed final base chocolate for this bar.